A Cardiff orchestra has launched an academy to train the conductors of tomorrow. Cardiff Sinfonietta, the resident orchestra at the city's Gate Arts Centre, unveiled its new Cardiff International Conducting Academy this week. Eight students will join its intensive, three-day course on Thursday. Musical director Jonathan Mann said it would give student conductors the chance to "develop their craft". He added: "From my personal experience, I know how vital it is for conductors to have as many opportunities as possible to hone their skills, and I am delighted that Cardiff Sinfonietta can provide the opportunity for these students to get in front of a really good, supportive orchestra and learn from international conducting pedagogues." The Sinfonietta said the master class was the first of three intensive courses this year and will be led by acclaimed conductor, Prof Mark Stringer. 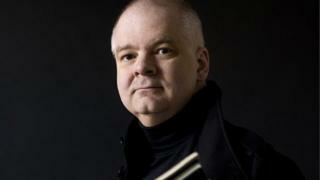 He is professor of orchestra conducting at Vienna's University of Music and Performing Arts. Each of those taking part will have a chance to conduct the professional orchestra on Saturday night at the Church of St Andrew and St Teilo, in the Cathays area of the city.